I think you’ll love this Avocado Ranch Dressing if Ranch is your Go-To salad dressing. Ranch dressing is definitely the most popular dressing on the Western Diet. Some children and even adults dump Ranch Dressing on Everything! This Avocado Ranch Dressing gives you the creamy and savory and smooth textures of a traditional ranch dressing along with the familiar savory flavors. You can also make our Real Ranch Dressing for those who can’t get past the green or a more savory version, Green Goddess Dressing. Why should I change my favorite Ranch Dressing to Avocado Ranch Dressing? Traditional Ranch is made with mayonnaise and if you purchase Ranch in a bottle or one of those little packets you may be eating lots of damaging and toxic chemicals such as MSG and many preservative. Bottled Ranch dressing and the kind in the packets ask you to add milk or buttermilk. Now granted, this one, unless you make it dairy free, uses organic Green yogurt, which is also a milk product. However, using an organic yogurt adds beneficial bacteria to help support your immune system and brain function. It also contains small amounts of magnesium, manganese, copper, iron, zinc, phosphorous and vitamins A, B1 (thiamine), B2 (riboflavin) and B3 (niacin). Do you want to eat more avocados because of their health benefit? Avocado Ranch Dressing might be your ticket! The reason we choose foods are texture, flavor and how the food goes through our digestive tract and makes us feel. Avocado will hit all those marks and more! 25% Soluble Fiber, which feeds the beneficial bacteria in your gut, which may improve immunity to disease and virus, happier mood and better cognition. High in antioxidants and anti-inflammatory. Enzymes and phytonutrients in avocados may break up cancer cells. Beneficial fat in Avocado supports healthy brain development in children and better cognition in adults. Avocados have the one of the highest enzyme counts of all raw foods. Enzymes are the construction crew of the food, they help your body break down the nutrients and use the nutrients effectively. Need to lose weight? Add avocado, especially this Avocado Ranch Dressing to your daily diet. The beneficial fat in Avocado supports weight loss and helps with hunger. Need to GAIN weight? Surprise! Eat more avocado. Your body will recognize the good fat and hang on to it. 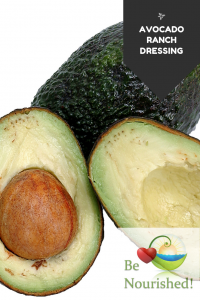 Add at least 1 avocado per day to your salads, smoothies, make guacamole and of course, this Avocado Ranch Dressing…you still need some good crunchy and nutrient dense salads. Where do Avocados come from? 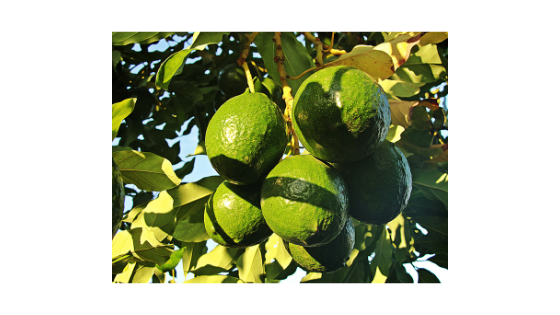 Avocados are grown on trees, and the Haas Avocados, the kind you are used to eating, are all from the original Mother Tree! Most of the avocados consumed in the US are from California, however, many are coming in from Mexico. A few years I read an interesting blog by a guy who had an avocado orchard. He said an avocado can stay on the tree for 3 months, which makes them great to sell. One of the reasons is because Avocados are one of the highest enzyme foods. This is why they turn brown so quickly … it’s also why they are sooo good for you! 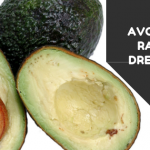 Need to know how to choose a ripe avocado? Check this out. Enjoy your favorite salad dressing with this healthy version, Avocado Ranch Dressing. All the taste and texture of your favorite ranch dressing plus beneficial fats! Blend all in a high speed blender, magic bullet or food processor until smooth. Store in the fridge for 7 days. Enjoy with your favorite salads or veggies! ** Make it dairy free by using an alternative plain yogurt like almond or coconut…the flavor may change slightly. You could add a little more garlic or a few stalks of green onion to overcome the almond or coconut flavors. ** You could also replace the yogurt with 1/4 cup of a high quality olive oil and water to desired consistency. I would also include a few green onions. This is a good recipe to use more ripe avocados that you wouldn’t slice on a salad. Freeze avocados when on sale by removing from skin and pit, Quick and Easy. Put avocado in freezer container; just scoop it out of the skin and plop it in, you don't need to do anything except smash the avocado into the container. Sparingly top avocado with enough olive oil to cover the avocados (keeps them green) and freeze. I like to pour about a Tablespoon of olive oil on top and then swirl it around so the entire surface is covered. Thaw avocados before making your dressing. Like adding Avocado to your daily food? You'll love my Key Lime Pie and Chocolate Cherry Mousse, or Mango Avocado Salad.